Enjoying your favorite cold craft beer is one thing. But exploring Vietnam’s exotic varieties of artisanal brews is just one component to throwing together a night out. In the past, pairing food and drink was the preserve of wine sommeliers. Now, craft is quickly coalescing with cuisine. 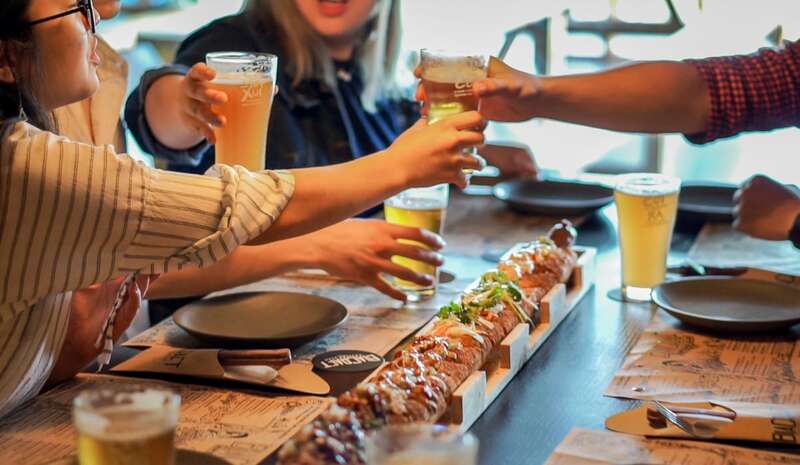 Local breweries like East West Brewing Company and BiaCraft have already implemented curated craft beer pairings into their menus. BiaCraft’s “Jonah Falcondog” sausage paired with a range of lighter, fruity craft beers made in Ho Chi Minh City, Vietnam. 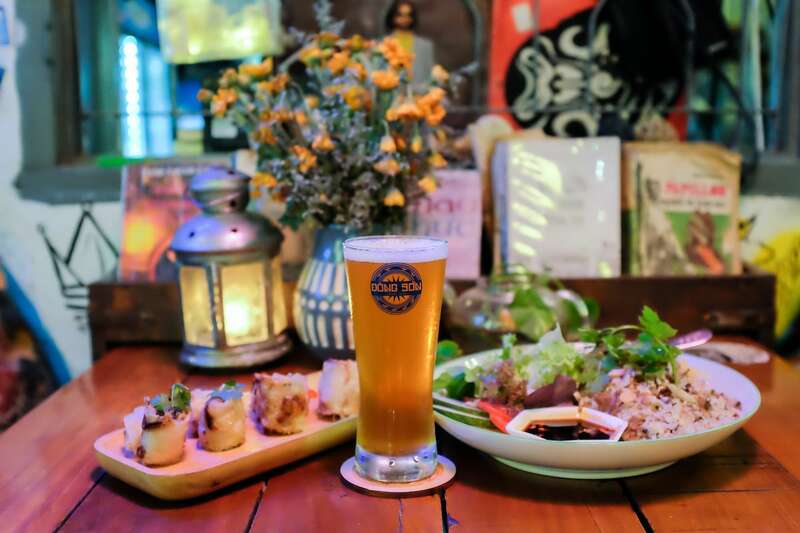 So we visited some of the city’s best bars and restaurants in Ho Chi Minh City to explore craft beer pairings with local cuisine. 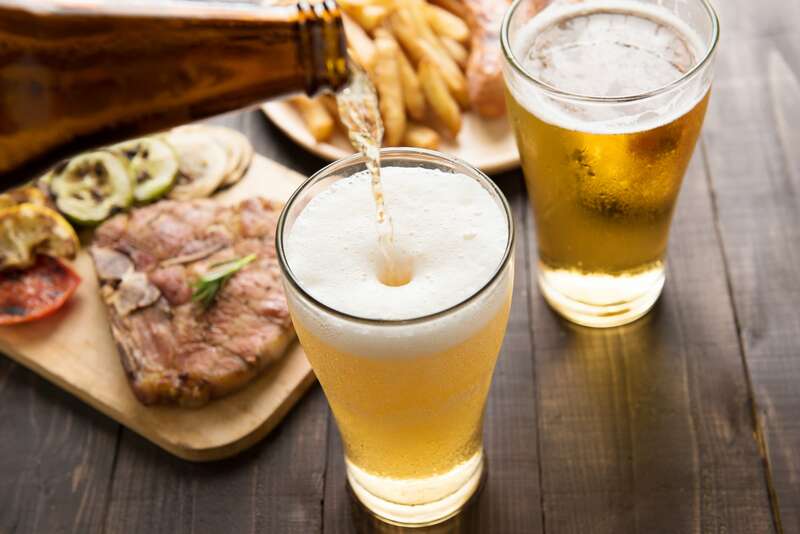 Here we deconstruct three dishes and three craft beers that epitomize the powerful potential of craft beer pairings in the microbrewing hub of Ho Chi Minh City, Vietnam. 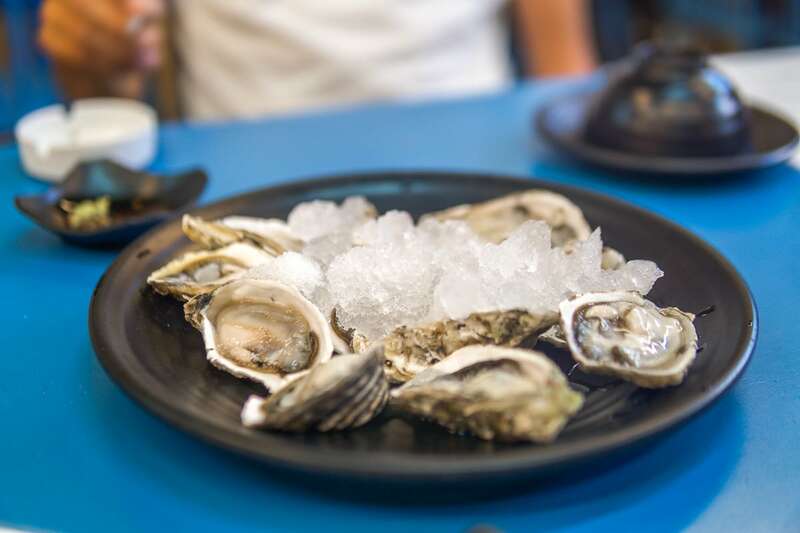 Thanks to appearances on David Chang’s Netflix hit “Ugly Delicious,” owner and chef Nikki Tran’s well-hidden Kau Ba Oyster Bar on Thai Van Lung in District 1 has become one of Ho Chi Minh City’s most popular oyster bars. It boasts an all-you-can-eat Fin de Claire oyster deal for VND 395,000, and a menu that features Cajun and Vietnamese fusion cuisine in an airy setting. We met up with Nikki Tran along with Rooster Beer’s founder and CEO Michael Sakkers and sales rep Don Hurst. Our goal was simple—to eat as many oysters as possible, drink Rooster Beers, and figure out which style of Fin de Claire oyster would make for the best craft beer pairing. “The Rooster Blonde was created to bring craft beer to the masses,” Sakkers tells us. Another philosophy of the brand is to produce easy-to-drink brews engineered for Ho Chi Minh City’s tropical climate. The best part of this beer is the subtle, citrus notes, and its nice clean finish. “Think of it as a lager with a malty attitude,” Don adds. It’s the kind of beer you can drink all day because it has a lighter body and taste profile. Another component of its drinkability is its ABV. Although 5.5% is lighter in the world of craft beer, it’s still stronger than commerical beers like Tiger, which weigh in at about 5% ABV. Kau Ba’s Fin de Claire oysters are farmed near Halong Bay, although they aren’t native to Vietnam. The variety of oyster is popular because of its uncommonly sweet and milky taste, and the fact that it’s “less fleshy.” And at Kau Ba, you can choose from eight different styles including grilled, raw, and Cajun. “Actually, The Rooster Blonde compliments almost all styles of oysters on this menu,” Don grins as he downs another glass of his bonde. “And although the hops mellow out the grilled oysters, I didn’t expect the beer to cleanse my palate in between bites. I mean, because of that every oyster tastes just as good as the first one,” Don chuckles. Owner Nguyen Thanh Hai divides his time between Ho Chi Minh City and Budapest, Hungary. In Budapest “ruin bars,” characterized by ramshackle, bohemian decor, have been growing in popularity since the early 2000s. 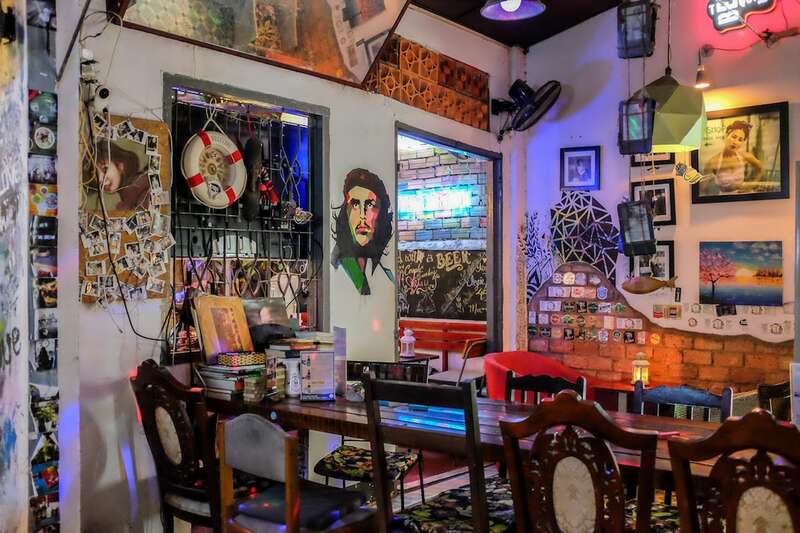 Drawing inspiration from one of Budapest’s first ruin bars, Szimpla Kert, Hai has applied a similar aesthetic approach to his bar Nong Trai Khoai. This Vietnamese pub stocks 80 brands of local and international beers. While most are microbrews, Khoai also stocks regional lagers from provinces around Vietnam. The bar is located on Pham Viet Chanh street in Binh Thanh District, an area that’s rising to become one of the newest hotspots around town. Dong Son is one of the newest additions to Vietnam’s ferociously expanding craft beer industry. So it came of no surprise that Dong Son’s founder, Dzung Phan, had no qualms when we asked him to deconstruct one of Vietnam’s newest brews, the Dong Son Golden Ale. “The Dong Son Golden Ale has a light hoppy bitterness and finishes with a short-lived caramel finish,” he informs us. Although some might say the beer appears to be tailor-made for the Vietnamese drinker, it’s becoming known and respected by the international community because of its consistent execution and high drinkability. Khoai’s Hanoi-style beef fried rice with spring rolls isn’t too fancy. However, one bite of the dish reveals its complexity. “Although it’s traditional northern fare we elevated the dish by adding slices of fried potato and olive for more texture,” Hai smiles. They also add to the intensity by including Korean kimchi and Hanoi spring rolls. The spring rolls bring a crispy deep-fried punch to the dish. Dong Son’s Golden Ale is an ideal craft beer pairing for spicy or sour dishes like Khoai’s beef-fried rice. “A cold bottle of Golden Ale takes the edge off the powerful flavors from the kimchi and pickled mustard greens,” Nguyen Thanh Hai adds. Parisienne restaurateur and advertising executive Noelle Carr-Ellison has founded some of the city’s most iconic restaurants including The Refinery and Au Parc. 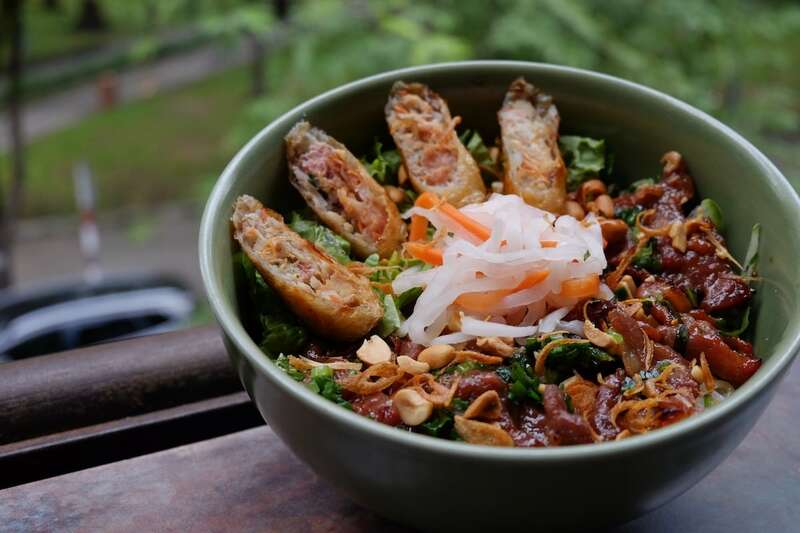 But the Propaganda Vietnamese Bistro’s elevated renditions of popular street food items have made it a hit with both locals and foreigners. 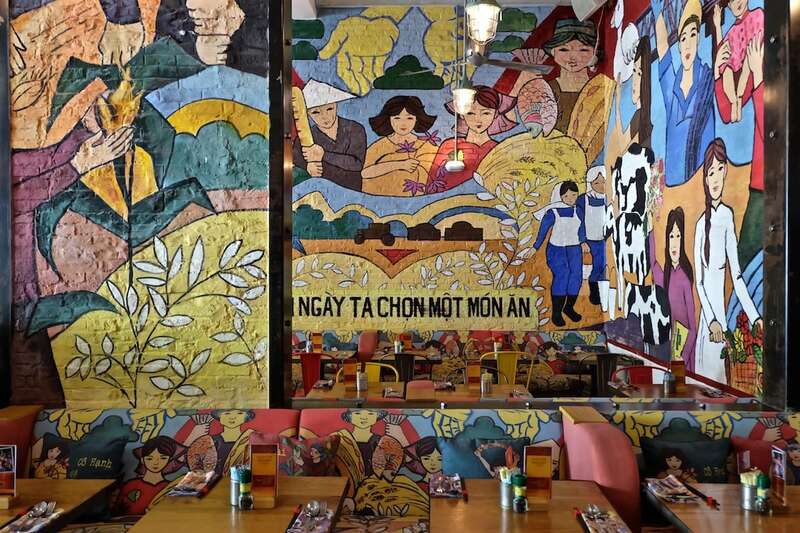 Propaganda Vietnamese Bistro’s elevated renditions of popular street food items have made it a hit with both locals and foreigners. 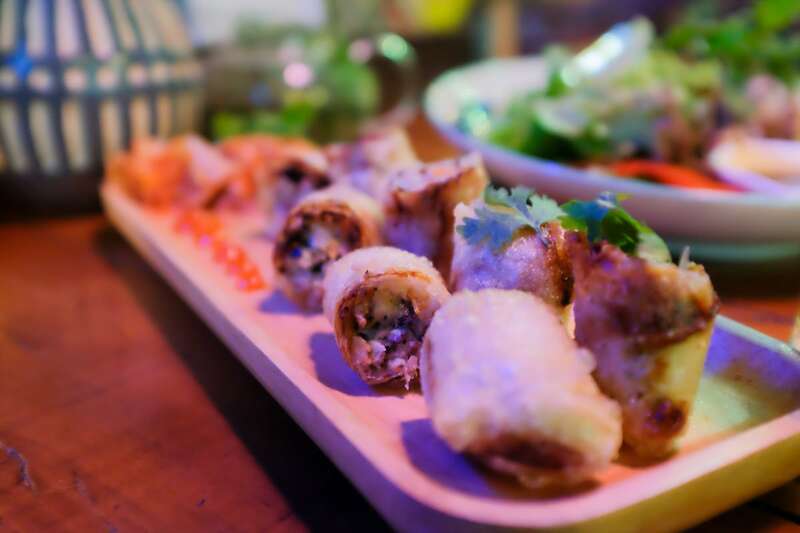 The food menu consists of contemporary Vietnamese food with a modern approach to presentation. And Propaganda’s drink selection looks even further west with a range of imported international wines, fusion cocktails, and of course, craft beer made-in-Vietnam. 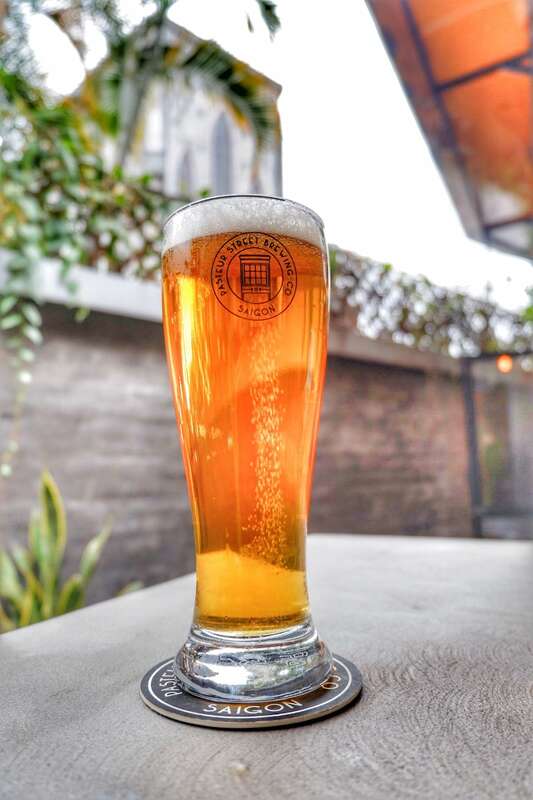 Pasteur Street Brewing Company is one of Vietnam’s craft beer pioneers and the first to take home international accolades for their innovative recipes. The Jasmine IPA is a citra hop-heavy brew and also the brewery’s best-seller. The Jasmine IPA is a citra hop-heavy beer and also Pasteur Street Brewing Company’s best-seller. “The Jasmine IPA is good company for most items on the menu. But for this craft beer pairing I feel that the bun thit nuong and the Jasmine compliment each other better than anything else on the menu,” Smith remarks. Bun thit nuong, a staple of Vietnamese cuisine, has a slightly sour touch with sweetly caramelized elements alongside handfuls of aromatic herbs. “Bun thit nuong is one of Vietnam’s most popular dishes. This dish is rice vermicelli served with seasoned barbecue pork. As with many Vietnamese dishes, bun thit nuong is served with fresh basil, bean sprouts, and crispy fried spring rolls before it’s all smothered in one of Vietnam’s favorite condiments…fish sauce!” Smith grins. Common garnishes include crushed peanuts and onions. Although there are many variations. “The simple citrus notes from the beer balance out the complex components of the dish,” Smith says. Bun thit nuong has a slightly sour touch with sweetly caramelized elements alongside handfuls of aromatic herbs. The floral notes from the jasmine flower and the citrus add another layer of familiar local flavor. “This combination works because the taste profile of the Jasmine IPA doesn’t overpower the taste profile of the bun thit nuong. And both the beer and the dish have classic Vietnamese ingredients,” Smith smiles finally.